The ROARING FORTIES™ SMA2160 series is part of our SMA2100-1 series. They are constant wear life preservers. Each has an inflatable twin chambers housed in a valise which is sewn onto a comfortable mesh vest with adjustable side panels and heavy duty zip at the front. Options are available for durable nylon or a lightweight rip resistant, fire retardent Nomex exterior covering which is secured by a heavy duty rapid burst zip system. 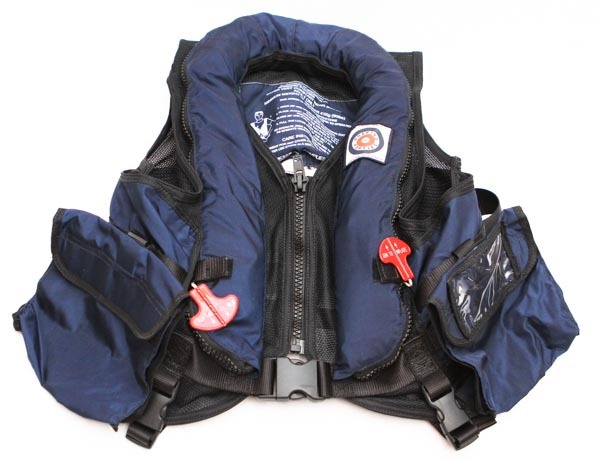 Suitable for use by passengers and crew aboard an fixed wing, helicopter or aircraft during flight over water. It is operated with 2 x 18gm CO2 cylinders and has buoyancy greater than 195 Newtons (44lb or 19.95kg) after 24 hours. The lifejacket will take only 3 seconds to right a person to an altitude of at least 30 degrees to the vertical with mouth & nose well clear of the water. This life preserver will provide good rear and lateral support and is stable in either direction.